Huawei was the first manufacturer to kick off MWC 2012 and it started proceedings with something of a bang – announcing the world's fastest smartphone, with the Huawei Ascend D Quad. Understanding just how important phones have become in the lives of consumers, Richard Yu, chairman of Huawei Device, explained that its new handset would bring true PC power to the phone market – explaining its new chipset was 20 to 50 per cent more powerful than the Nvidia Tegra 3 chip. "People now use their smartphones as a PC, so a smartphone has to have the same power to help people take photos and listen to their music," explained Yu. 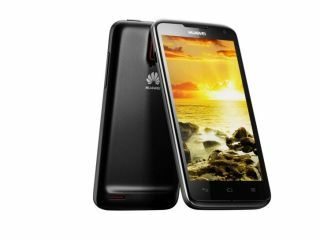 Talking about the technology within the Huawei Ascend D Quad, Yu noted: "You can see the speed of the Huawei D series... It's more than 49% faster than the world's fastest smartphone." He continued: "Smartphones use the GPU more and more, for all the video and 3D games. The GPU is now more important than the CPU, which is why we have a 16 core GPU built into our smartphone. "While PCs now run at 64bit, most of our competitor's smartphones only run 32-bit processors. Huawei is proud to announce that its smartphone, the Ascend D Series runs at 64 bit." With great power usually comes a great drain on battery life, but Huawei explained that this wasn't the case with the D Quad. "We're very proud of our low power technology and we have over 20 years of experience in this area," said Yu. From out of nowhere, Huawei has impressed with its quad-core phone. If the quality of launches are this good, then MWC 2012 is going to be an impressive show.